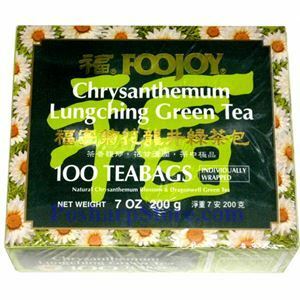 This tea is a blend of Chrysanthemum flowers and green tea. When brewed, it produces a tea with a light greenish-yellow color, a fresh flavor, a pure aroma, and strong sweet taste and long lasting sweet aftertaste. It can be enjoyed either hot or cold.